Virginia has had 25+ years of experience in the development arena with a focus in higher education, animal welfare and faith based fundraising. An alumnae of Catholic education she is a graduate of her parish elementary school in New York, Assumption School; attended high school at Ladycliff Academy; holds a Bachelor’s degree from Our Lady of Good Counsel College in White Plains, NY; and, a Master’s in Applied Theology from Our Lady of the Elms College in Chicopee. Virginia is currently an Adjunct Professor in the Non Profit Management and Philanthropy Department of Bay Path College in Longmeadow teaching graduate students the art of annual giving and donor relations. 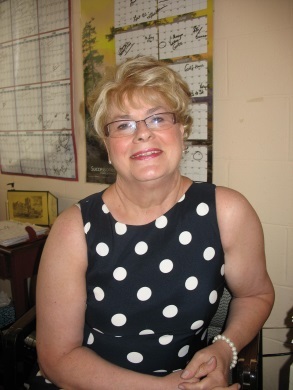 Former president of the Association of Fundraising Professionals and Chair of Newman’s Development Board, Virginia hails from Blessed Sacrament Parish in Holyoke where she is coordinating her parish’s Centennial events. Her husband, Ralph is a retired Executive Chef and Culinary Arts Department Head and a graduate of The Culinary Institute of America and her daughter, Adair is a kindergarten teacher in the Holyoke School System, and is married to Matthew Rivest and mother to William Matthew. She enjoys reading, ballroom dancing, playing with her dogs and being with her family.